Sergiu Bolotă is a singer / songwriter who was born in Sibiu, Romania. He started singing since he was a little child in churches and in various school events. He was born in a large family of 7 children. 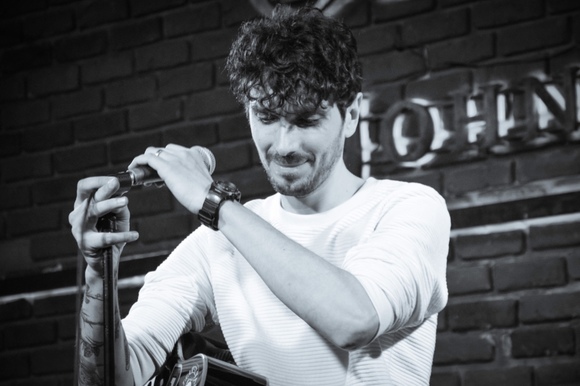 In late 2014, Sergiu released his first single called "Same Love". In March 2016 he revealed his first EP "Lumini" (Lights) containing 5 songs and in 2017 he released the single "We Were Young" composed by the famous Estonian Stig Rästa. 2018 was a great year for Sergiu: he participated with his song "Every Little Thing" at Eurovision Romania where he finished 4th in the Semifinal and he released his first LP "Umbre" (Shadows).